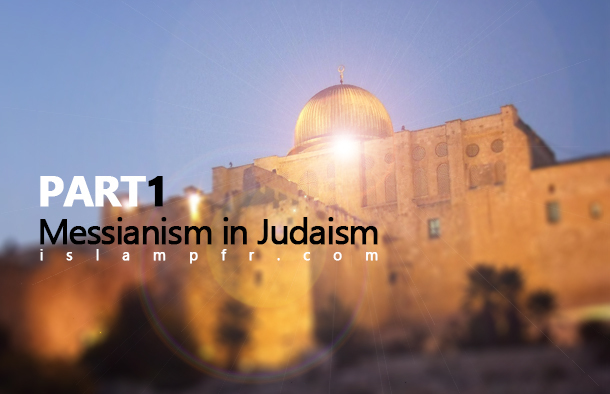 Judaism is a monotheist religion and the concept of revelationsis accepted in this religion. The prophet of Judaism is Prophet Moses (PBUH) and its divine book is Torah. Like other religions, different sects were emerged in Judaism as a result of social matters and various viewpoints among scholars and people. Some of these sects are more known and have many followers, and some have less. This sect emerged after the appearance of Islam. They are in opposition with Talmud (study of Torah) and emphasize on the superficial meaning and reading method of Torah, that’s why they are known as karaite (karaite means readers). At first, their leader was a Jewish scholar named “Annan”. He used to associate with “Abu Hanifa” and was familiar with Islamic fiqh’s terminology (Islamic jurisprudence). Nowadays, followers of this sect live in Israel, Russia and Ukraine. They are also called “Sabbateans”, referring to “Sabbatai Zevi” the founder of their sect. He was born in 1626 in Izmir in Turkey. After studying Jewish theology and kabbalah, He claimed to be the Jewish messiah or the promised savior. Some of the Jews in Europe, Turkey and the Middle East accepted him. He called himself the first offspring of god and rose in 1666, but he was arrested by one of the Ottoman Sultans and converted to Islam and changed his name to Muhammad effendi, then encouraged his followers to convert to Islam but many Jews still thought of him as the messiah and said that only a shadow of sabbatai has converted to Islam and he has ascended to sky to find the ten lost tribes of the Israelites and will return soon. They hope for the return of sabbatai as the true savior of Israelites. Now, there are a few thousand followers of this sect in turkey that practice Islamic traditions in appearance but they actually adhere to Jewish traditions. Two aforementioned sects are the most famous sects of Judaism and As we mentioned before, we don’t have any information about the Jewish sects before exile to Babylon and there were probably other sects at those times. In some Jewish historical books, As many as 27 Jewish sects are counted but only their names are mentioned in history. Basically all Jews believe that a messiah will come, but is different from Christians’ messiah. As studies show, before the captivity of the Jewish nation and their dispersion by Assyrians, the notion of the return of a savior didn’t have a place in the Israelites’ religious or non-religious literature, mythology and their written or verbal narratives. Prophet Isaiah promised the arrival of the messiah in his prophesies too:” For unto us a child is born, unto us a son is given: and the government shall be upon his shoulder: and his name shall be called Wonderful, Counsellor, The mighty God, The everlasting Father, and The Prince of Peace. Throughout history, Jews has looked at this matter from a religious point of view, they considered waiting (for the arrival of the messiah) as a holy obligation, It was only after the entrance of political Zionism into the Jewish world that some Jews’ point of view changed on this matter and recognized forming a political state the key to “the age of messiah”. With no doubt, the interpretation of Zionism of the concept of waiting for the messiah and the arrival of the savior, is a challenging and trouble-making point of view for the believers in the arrival of savior in final era. Because relying too much on race and nationality has made them desire an unjust totalitarianism and this makes it hard to be able to have a conversation with them. Is Shia’s mourning for Imams, a manifestation of blasphemy?